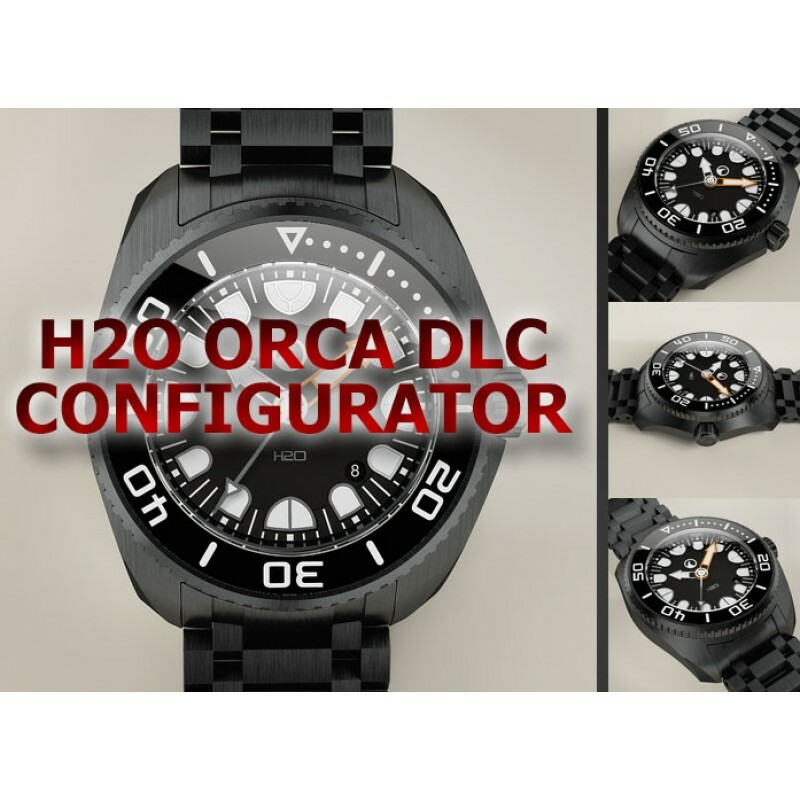 With ORCA©, H2O offers an innovative watch system featuring exclusive inner and outer case interchangeability designed and engineered for greater versatility, greater wearability and greater toughness. Seven unique outer cases, four inner cases with flat or 2mm/4mm highly domed and 6.70mm slightly domed sapphire front glass, along with nine dial choices and five different handsets, the H2O ORCA© opens up customization to an unprecedented degree. Outer & inner cases changes can be made by the wearer in just seconds to create different look for any mood or occasion, and thanks to its cleverly engineered design, the inner case is always protected and the H2O ORCA© always ready for action. Nine expertly executed dials, including six stunning black options and two discerning cool dark grey, supported by five unique handset design choices, allow the H2O ORCA© series to effortlessly transform from dive or sport, to business or dress. Virtually limitless in its personalization, whether you’re tracking time above or below the water line, the H2O ORCA© is always ready for the occasion. 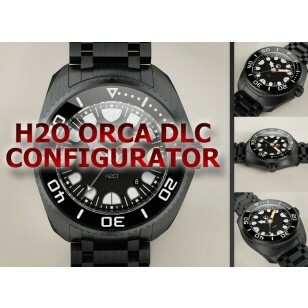 presence while remaining among the most svelte and wearable serious dive watches around. And speaking of serious… While being beautifully finished and painstakingly engineered to keep dimensions to their absolute minimum, and maintaining features like a standard sapphire display case back, the H2O ORCA© is always eager for a dive, officially certified in Germany to 2000M WR. The new slightly domed, 6.70mm thick sapphire crystal was tested and certified in Germany to 4000M / 400BAR WR and is intended to be configured with the new 60se-ceramic -inlay, which taking up the crystal curve in perfect way. Visualisisation of the four different sapphire crystal options inside the H2O ORCA inner case and the H2O ORCA DIVE.